Whenever possible, subject to volunteer crews and buses being available, the Museum runs buses for our visitors to ride on. During school holidays and most weekends (except Winter months), we run a traditional London double deck bus for 15min rides. A donation (suggested £1 per seat) is collected on board by the Bus Conductor, and the service runs every 30 minutes. (please note, rides are crewed by volunteers who many not be available on all days. 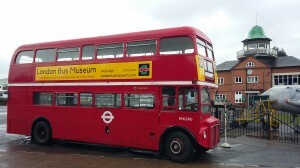 During LBM special events, Spring Gathering , Brooklands on the Buses and TransportFest, the Museum runs a network of bus services for the visitor to enjoy, and to bring them from Weybridge Station. Some are aimed at families and last about 15mins. These are free and tickets will be issued. For the enthusiast, longer excursions lasting an hour or more are run using more historic or rarer buses. A fare of £5 per seat is charged. 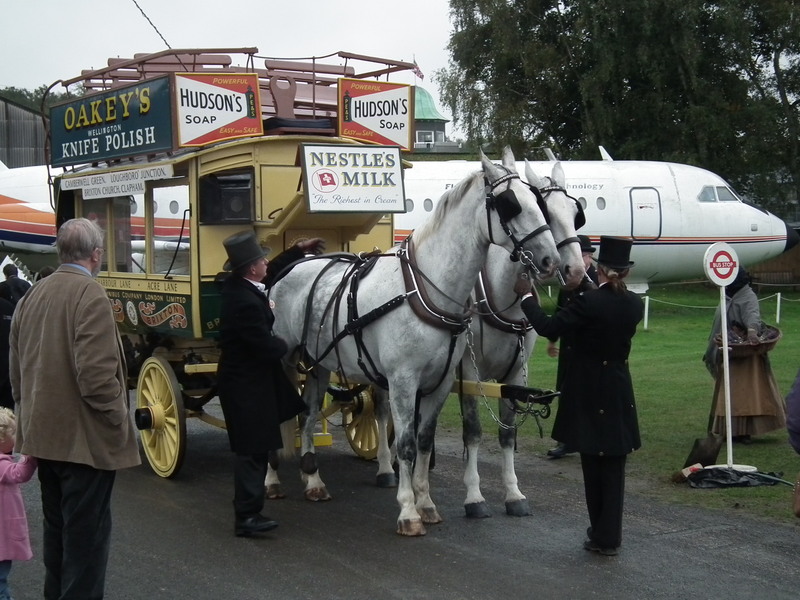 An extra special attraction at Brooklands; on the Buses and TransportFest one of our horse buses will be in service. Enjoy riding behind two wonderful horses in an authentic 19th Century bus. Tickets are £5. 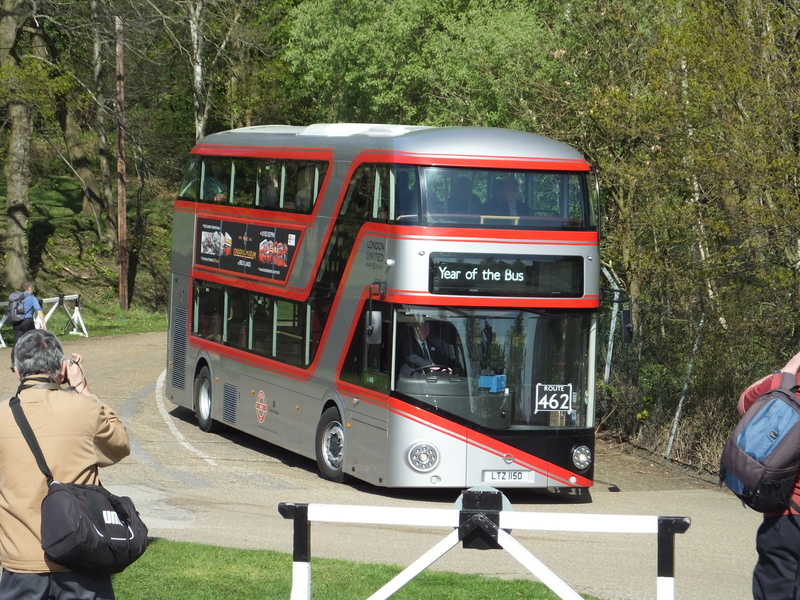 On event days, route 462 provides a twenty minutes service between Weybridge Station and Brooklands. This service uses a mixture of classic and modern buses. The fare is included in the admission price. Some journeys will be disabled accessible.